The Benefits of HVAC Systems Cleaning - Pringles, Inc.
Why should you have your HVAC system cleaned? The short answer is simple: because they get dirty over time and they have the potential to contain large amounts of dust and particulates. Pringles Inc. is proud to provide experienced commercial HVAC systems cleaning throughout most of Ohio and residential duct cleaning within Columbus Ohio. 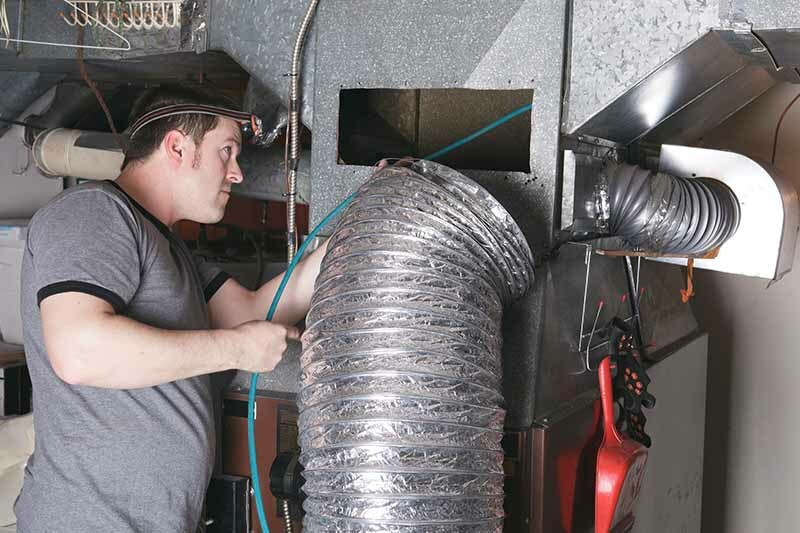 NADCA offers a certification geared toward HVAC inspectors, called the Certified Ventilation Inspector (CVI) program. CVI-certified personnel have received training based on the EPA’s structured method of performing inspections, which is also in compliance with NADCA’s standard. The training covers applicable building and IAQ standards and codes, maintenance and housekeeping programs, diagnosing IAQ problems and reporting findings to building owners. Restoration of HVAC system components is the process of preparation, refurbishment, resurfacing, repair, or replacement of any surface common to the air stream. Restoration procedures must only be performed after mechanical cleaning. Air side surfaces of HVAC systems found to be compromised during the HVAC cleanliness evaluation or during cleaning must be documented for restoration or replacement to industry standards, as required. HVAC system components subjected to catastrophic events such as fire, smoke, flood, or water-damage must be subject to restoration procedures. Component degradation that results in compromised system performance must be corrected through restoration procedures if possible. HVAC component replacement must take place if acceptable cleanliness levels cannot be achieved through mechanical cleaning and restoration methods.